The project is so big, it is more than a movie—it’s part of a movement aimed at bringing engineering into the forefront of our culture. 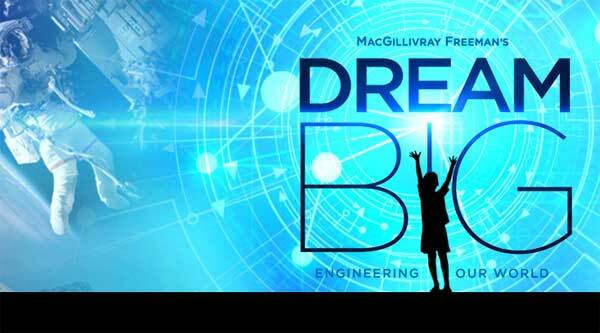 Dream Big is the first giant-screen film to answer the call of the STEM (Science, Technology, Engineering, Math) initiative, which aims to inspire kids of diverse backgrounds to become the innovators who will improve the lives of people across our entire planet as we head into the 21st Century and beyond. That’s why the film will be accompanied by ongoing educational, museum and community efforts to expose young people from all backgrounds to what engineering is…and what it can conjure in the world. Educators and Parents - download guides, lesson plans and activities here. See our complete Theater Schedule here.